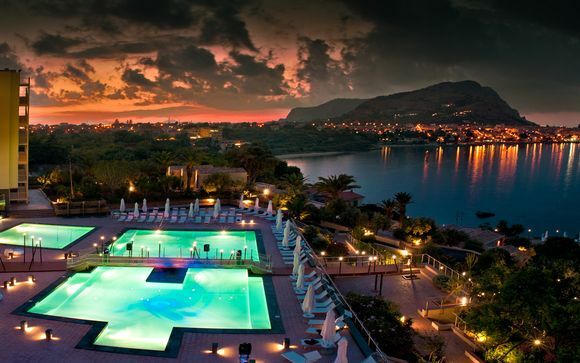 Stays in Palermo up to -70% off To take advantage of these offers, join now for free! 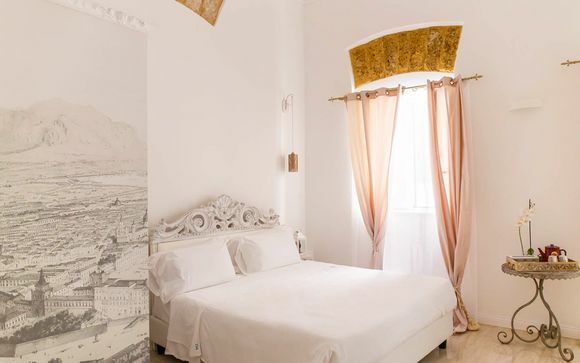 Discover where to stay in Palermo and immerse yourself in Sicilian culture; book unique and luxurious accommodation at Voyage Prive. 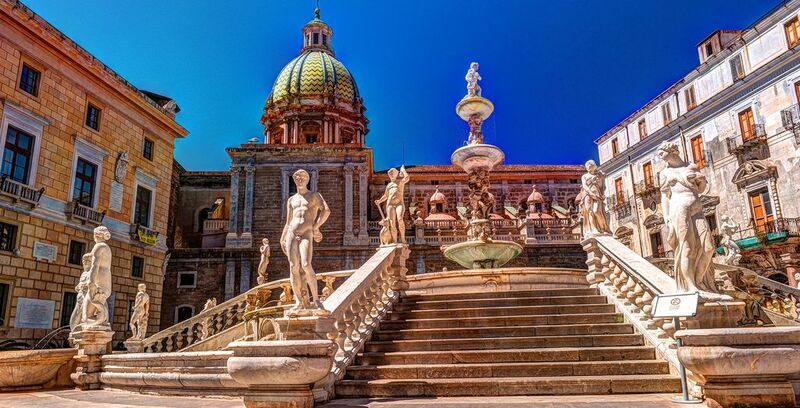 Palermo is the capital and largest city of Sicily, the island just off the coast of the boot-shaped Italian Peninsula. 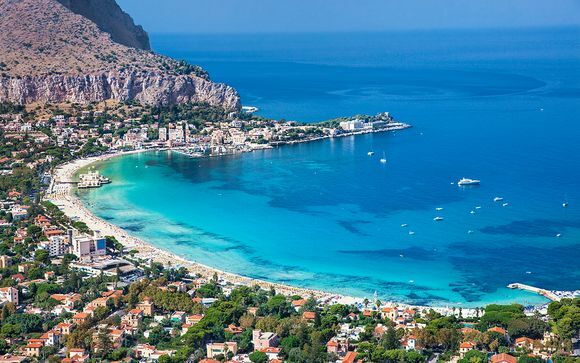 Located on the Tyrrhenian coastline of Sicily, Palermo has existed since 734 BC, and has been a prized possession of many an empire, including the Romans, the Byzantines and the Holy Roman Empire, of which it was briefly the capital. This colourful history has contributed to the cultural hive of activity that can be experienced today. 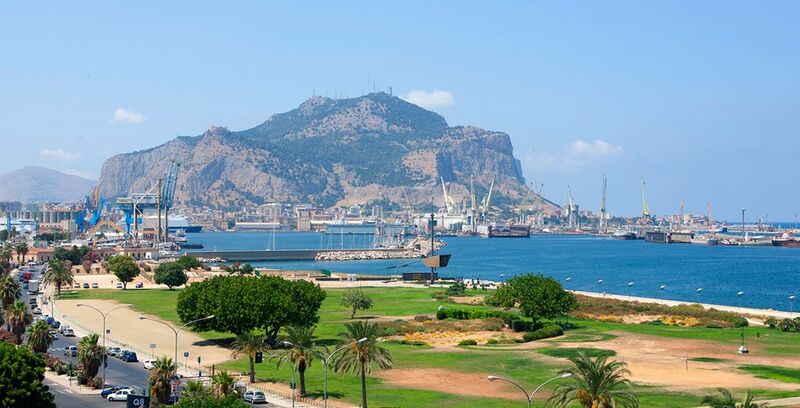 Due to its Mediterranean climate, Palermo is a popular holiday destination all year round. Palermo provides the perfect base for those wanting the best of a city and beach break. There’s plenty to see and do within the city, with its bustling markets and busy working port to wander around and its array of fascinating architecture reflecting Sicily’s colourful history. 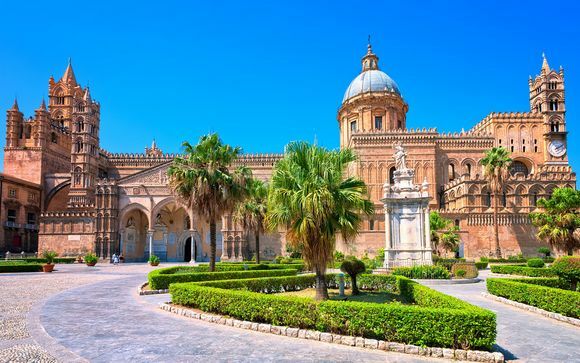 Life in the city of Palermo revolves around its numerous churches, many of which owe their origins to Norman architects, who reigned supreme in Sicily once upon a time. The Cathedral is the perfect place in which to begin your stay, with the variety of different styles represented in Palermo’s architecture giving visitors a visual reminder of its cosmopolitan and often turbulent past. Another notable, although non-religious, building is the Palazzo dei Normanni, the current seat of local government. The palace is inspired by Arab, Norman and Spanish styles, and contains several pieces of priceless artwork, including 12th century Byzantine frescoes. Once you’ve got all the historical business out of the way, you’ll be wanting to delve into the heart of Palermo. Piazza Marina and Via Ruggero Settimo are the main locations in the old town and new city respectively, so you may want to ensure you’re staying close to one of these places, which host a number of interesting shops and vibrant cafes and restaurants. Alternatively, take a day out at Mondello beach, where locals flock when the weather is particularly good. Mondello beach is nearby, perfect for those looking to soak up some sun or enjoy some water sports. The clear, calm waters make it a perfect choice for swimming and snorkelling. No trip to Palermo would be complete without sampling the array of fine cuisine that Sicily has to offer. Italy is world-renowned for its food and drink, and just because you’re no longer on the mainland, Sicily, and Palermo, is no exception. Street food is particularly popular, with a visit to the lively Santandrea in Piazza Sant'Andrea a must, if only for the market stalls and small ‘hole in the wall’ restaurants serving up the finest pizza, pasta and pane e panelle (a local, chickpea-based delicacy) for miles around. Sicily is a notable wine-growing region, and thus you’ll be offered a glass with most meals. For something stronger, try the local liqueur, limoncello. The city has an abundance of charming cafes and bistros where you can sample dishes such as arancini (fried balls of rice), pane cone panelle (fried chickpea pancakes) and crocchette (croquette potatoes). Sicilian cuisine is truly interesting in that it is inspired by the many cultures established there over the centuries with Italian, Greek, Spanish, French and Arab influences. 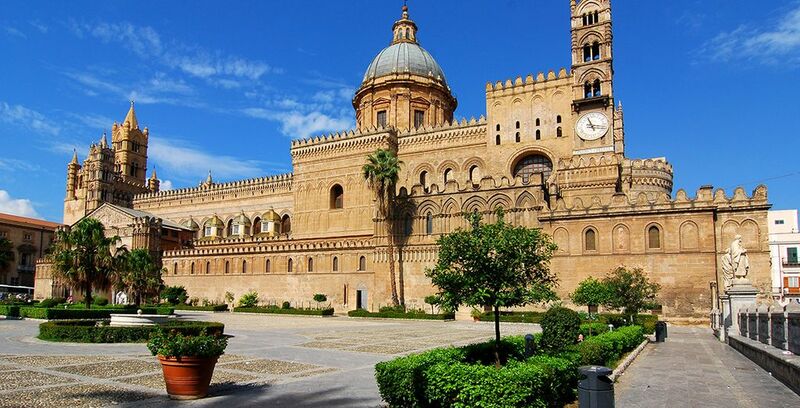 Palermo Cathedral’s fascinating architecture is a huge draw for visitors in the area. 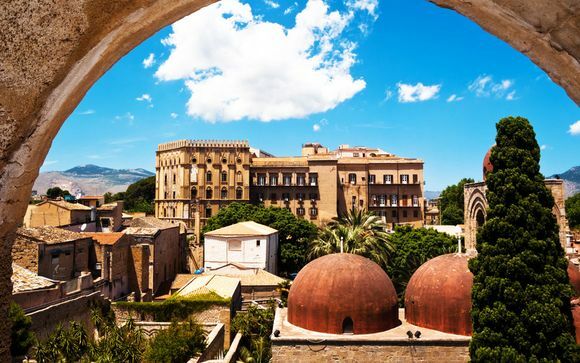 Originally constructed in 1185 on the instruction of Pope Gregory I, its myriad of architectural styles is a true reflection of the different cultural influences that have seeped into all aspects of Sicilian life over the centuries. Norman, Moorish, Gothic and Neoclassical styles are all evident here, making for a fascinating structure to spend a morning wandering around. Palermo is home to catacombs unlike any other in Europe. These fascinating tombs are located beneath the Capuchin Abbey and date back to an order of friars from the 1500s. Not for the faint-hearted, tours around the abbey and its catacombs are possible, where visitors are able to view close to 8000 well preserved bodies, many of which are still in their original clothing. The mountain range Monte Pellegrino sits next to Palermo and offers unrivalled views of both the city and the Mediterranean beyond. At just nine miles from the city centre and with a regular bus service that runs to the top, this makes a great day trip for those wanting to explore beyond the city. For those who are in great physical condition and fancy a challenge, it is also possible to hike to the top! Opened in 1897, the Teatro Massimo is one of the largest structures in Palermo and is Italy’s largest opera house. Famed for its acoustic qualities and impressive architecture, it’s the perfect place to spend a cultured evening. The opera house boasts a relatively full schedule for most of the year so there’s always something to see. Alternatively, guided tours of the interior are also available. Parasailing in Palermo is an excellent option for thrill-seekers looking for a spot of adventure. 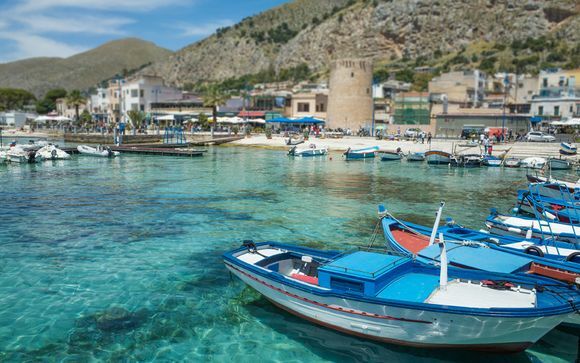 Palermo’s calm waters provide the perfect location for this exciting activity with lots of tour providers in the harbour offering it as a fun way to spend an afternoon. Parasailing can be enjoyed by both the young and the young at heart and is a great way to see the city from above. 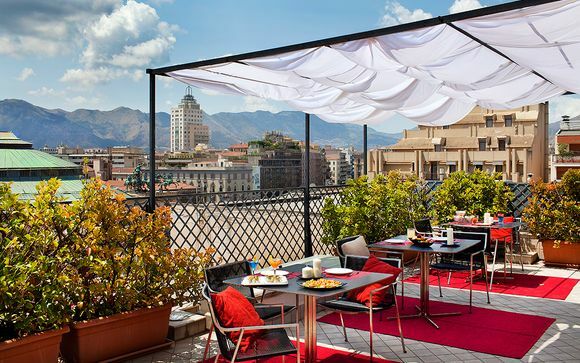 Situated in the heart of the city (only 2km from Palermo Cathedral), Cristal Palace Hotel provides the perfect base for those wanting to immerse themselves in city life. Visitors will receive a warm and welcoming service and can enjoy cosy, comfortable rooms in which to relax after a day’s exploration. The hotel’s onsite restaurant provides a range of local and international cuisine with a Sicilian influence. Situated 30 minutes from Palermo, Domina Zagarella offers unrivalled sea views. It’s the perfect location for a Mediterranean escape with the culture and bustle of the city close by. There are three onsite restaurants for guests to choose from, offering a range of dining options. Guests can also benefit from a concierge service, two swimming pools, tennis courts and fitness room. 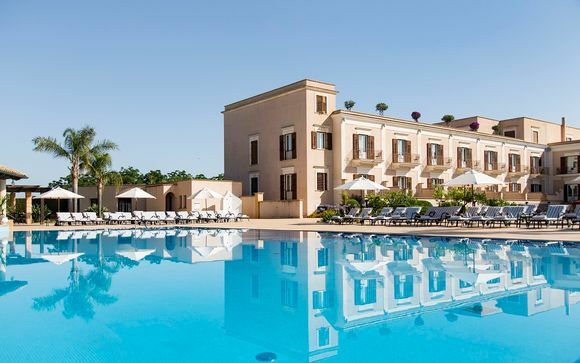 With a Trip Advisor Certificate of Excellence, the Giardino di Costanza is filled with Sicilian charm, popular for its extensive gardens and Clarins spa. It’s just a short drive from some of the island’s most beautiful beaches which guests can access via the hotel’s shuttle bus service. The grounds are expertly designed, filled with palm trees and fountains and provide the perfect backdrop for an evening of al fresco dining. What is the weather in Palermo? With its balmy Mediterranean climate, Palermo is warm and dry for many months of the year making it a great holiday destination year-round. The hottest months are from late April to August with highs around 31° and lows of 21°. This is also when the sea is at its warmest. However, temperatures in the mid to high twenties can also be enjoyed in both the spring and autumn, perfect for those seeking a spot of sun outside the summer months or those wanting to enjoy the Sicilian sights without the blazing hot temperatures. It’s relatively easy to have fantastic, fun-filled holiday in Palermo without breaking the bank. The city’s wide selection of attractions on offer can cater to a range of budgets. Local transport (buses and taxis) is pretty inexpensive and meals from local cafes and bistros can also be sampled for very little money. Many of the city’s most popular museums and religious buildings are free or cost very little to enter and of course, there are plenty of beaches to enjoy that don’t cost a penny. For those with a larger budget, why not hire a boat for the day or enjoy one of Palermo’s many fine dining opportunities?